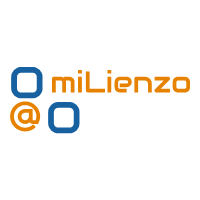 After the shock and horror of discovering my site didn’t work with Internet Explorer, a weekend of furious coding later, miLienzo.com has a new look and feel to it. 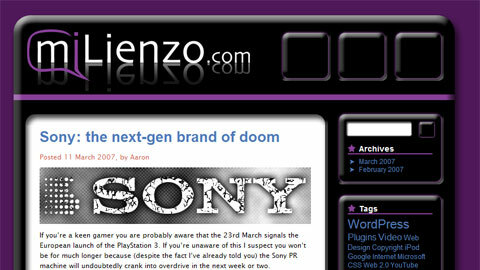 Away with the dark shades, 3D-ish smooth textures and two column layout, and in with a flat design embracing white space as if it’s a long lost child, a few splashes of colour here and there, and a completely revamped three column layout. Credit where it’s due: huge amounts of inspiration came from David Airey’s Creative Design blog layout, and Chanpory Rith’s LifeClever. Ironically, I discovered that the problems with Internet Explorer had absolutely nothing to do with my HTML (of course…) but were in fact due to the social-bookmarking plugin, Sociable, which I’ve temporarily disabled whilst trying to build a solution. I’d really appreciate your opinions on what works for you, what doesn’t, and anything else you’d like to see implemented? But please, if it doesn’t work in your browser and you can’t see anything at all, just lie.